Safe Communities Coalition: S.A.F.E. Summer form for Hitchcock! S.A.F.E. Summer form for Hitchcock! This form is for information only. If you want to attend the S.A.F.E. 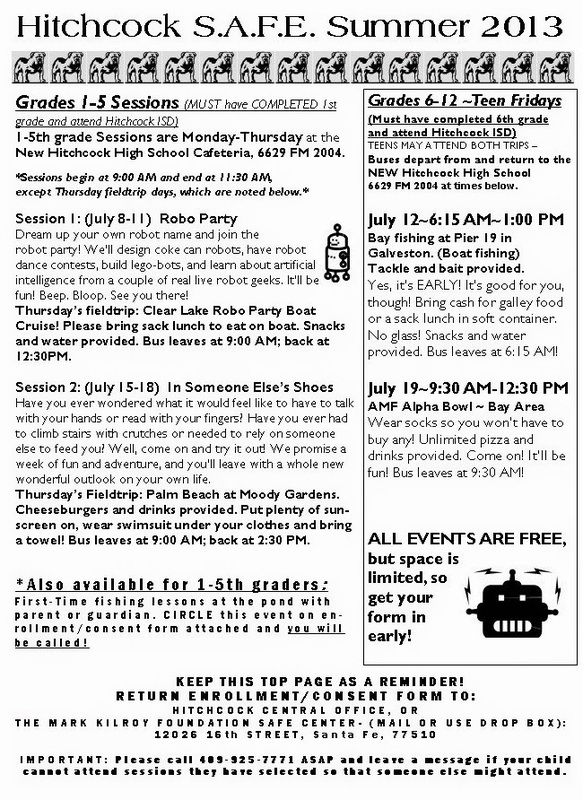 Summer Program in Hitchcock, please fill out an enrollment/consent form and mail it in. All schools have received copies and elementary students should ask if they have not received one. 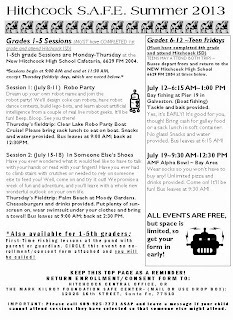 Jr. High and High School student forms are located in the offices of each school and all forms are located at Hitchcock Central Office (Admin building) Thank you!